It’s no secret that the art of pastry begins with science, which is what sparked Kahle to embark into the culinary world. A Nebraska native, Kahle began as a student in the Chemical Engineering and Material Science program at MIT, but went down a path of self discovery and realized his destiny was another ‘form’ of science – pastries. While putting his education to use in the IT sector, Kahle began a part time job at a European bakery working the wee hours of the morning at the shop before heading to his ‘day job’. Fueling his passion for patisserie, he enrolled in the full-time program at the French Pastry School of Chicago. After graduating, Kahle moved to the Emerald City and began his pastry profession at the Essential Baking company in Seattle where he trained under Team USA pastry gold medalist, William Leaman. In 2006, he joined Fairmont Olympic, designing desserts for one of Seattle’s most celebrated fine dining restaurants, The Georgian. While there, he was provided the opportunity to assist the Hotel’s head pastry chef at the 2012 National Pastry Competition in New York City and returned with an honourable 4th place finish. In 2013, Kahle traveled down the coast to the land of sun and surf to become Pastry Chef at Fairmont Newport Beach in California where he oversaw the pastry production of the hotel’s restaurants and event space. He also became involved in fundraising efforts for the Leukemia and Lymphoma Society; a survivor of lymphoma, he put his talents and artistry to work for a cause dear to his heart. 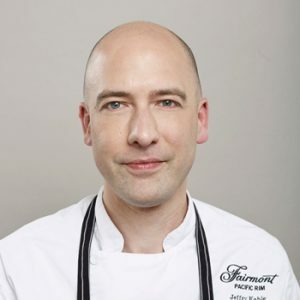 Newly arrived at Fairmont Pacific Rim with the ‘sweetest’ job in the hotel, Kahle oversees the pastry program of the hotel which includes three restaurants, in-room dining, and the hotel’s 15,000 sq. ft event facility. A skillful master of his craft, Kahle’s creative vision and attention to detail shines through in every piece of culinary art he creates. 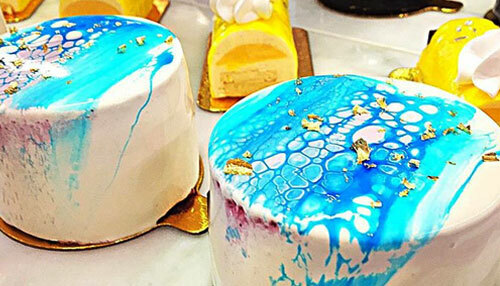 From the new pastry program in giovane cafe, to his specialty in the design of wedding cakes, Kahle looks forward to introducing guests to his confectionery creations, and making his mark on Vancouver’s indulgent pastry scene.